Sales of all of Yorkshire’s daily newspapers continued to fall in the second half of last year, according to figures released today by the Audit Bureau of Circulation (ABC). 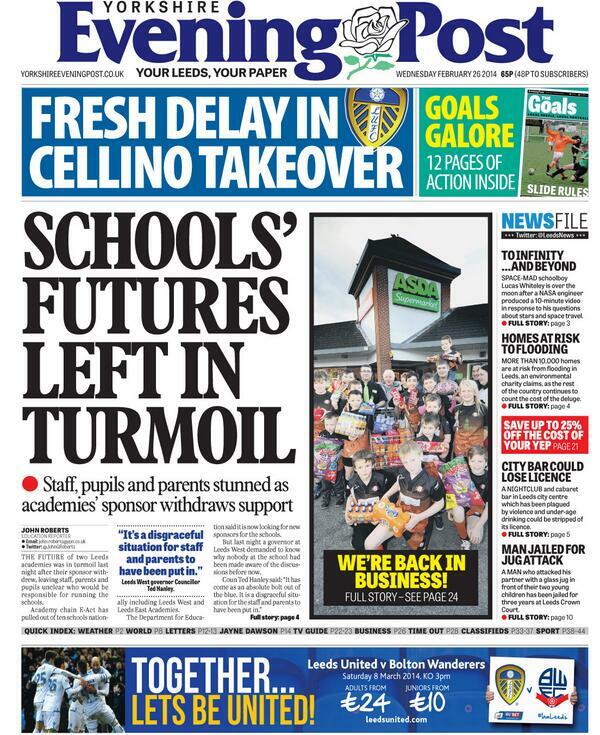 Against a backdrop of a 14% year-on-year fall across the UK, the two papers hardest hit in Yorkshire were the Yorkshire Evening Post (down 16.5% to 26,038 sold daily) and the Sheffield Star (down a massive 23.3% to 24,544). To put the figures into a longer-term context, both papers have lost approaching half of their daily sales since the second half of 2008 (see tables below), when the YEP was selling 49,064, the Sheffield Star 47,216. And what of the agonies of the Doncaster Star, whose sales of 1,162 copies at 65p a pop now bring in just £755 a day? How low can the figures fall before someone at Johnston Press decides that enough is enough (or not enough)? Of course the decline in sales only gives one part of the story. Our two Leeds-based papers, the YEP and the Yorkshire Post went “digital-first” along with all the other Johnston Press group titles two years ago – and then got a website revamp last year. So it’ll be interesting to see the online stats when I can get hold of them. Will post them when I do, hopefully later today. In the meantime here are the paper sales stats. This entry was posted in Uncategorized and tagged audit bureau of circulation, doncaster star, newspapers, sheffield star, yorkshire, yorkshire evening post, yorkshire post. Bookmark the permalink.